Welcome to a new way to analyze the effects of urban design on pedestrian comfort! Ingrid Cloud allows anyone to run accurate Wind Comfort simulations on Autodesk® Revit® projects. 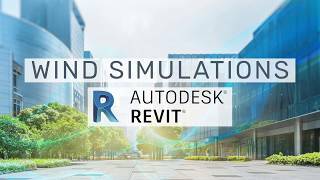 Our software is a cloud-based computational tool that automates the entire process of flow simulation, using any geometry from Revit. With Ingrid Cloud, you spend less time with the preparation of the model, and more time focusing on design optimisations. It is very easy to use. We can use the revit model as is. The app takes care of the conversion. Very good simulations and visualizations. We also ordered a consultation as an addon to the simulation. This is perfect do use in pre-design and design phase to know that the pedestrian comfort is OK.